I've often commented on dark sky initiatives when they are highlighted in the media. One thing I've noticed is that some people who comment seem to be under the impression that people who advocate for dark skies are for complete, total, utter darkness. Please allow me to disabuse you of that notion right here and now. 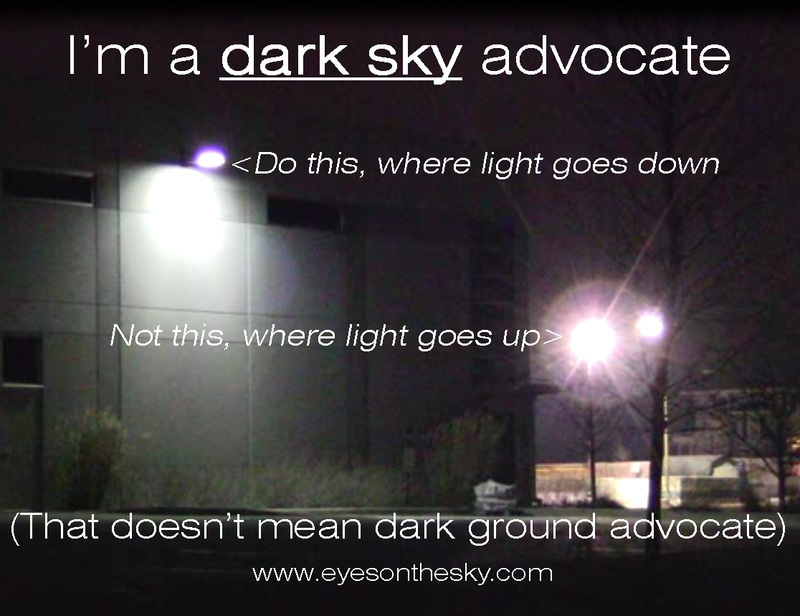 When dark SKY advocates are asking people to aim LIGHTS downward, we are not saying, "turn off all lights and make everything pitch black." Now are there times when there is still overlighting? Yes. Are there many area where we could use less light than is being sent out from fixtures and bulbs? Yes also. A month or so ago, I met a gentleman named Chris who is part of a group that is trying to revitalize the downtown Kankakee area by supporting artistic endeavors. What they do is very wide-ranging, and last month he asked me to introduce one of their film nights, "2001: A Spacey Odyssey" that he indicated I could talk about anything I wanted that had to do with space. After doing that, we talked a bit about what other ways we could collaborate. 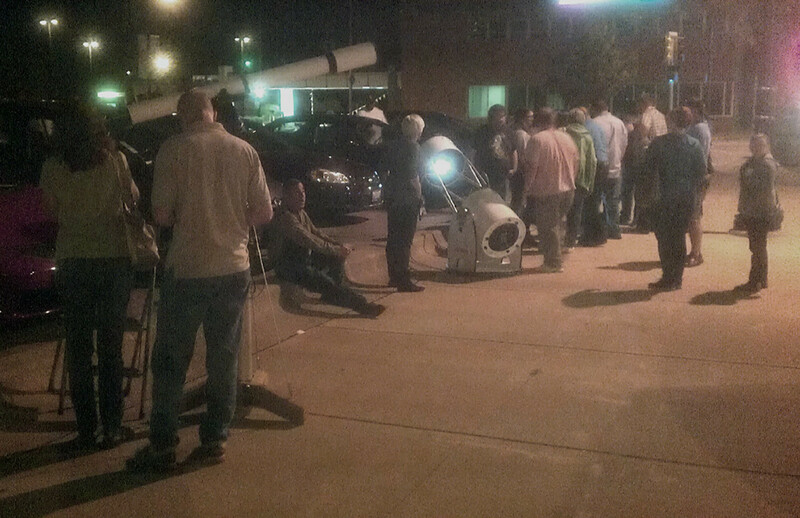 We decided to do a "Sidewalk Astronomy" event, and it was held last night. We did not do a lot of promoting of the event - a few Facebook posts and shares, but not much else. I also highlighted the event with the Kankakee Area Stargazers club and two of our members offered to join me. It turned out to be a GREAT night.